As I’ve talked with weight loss expert Dr. Lori Shemek and looking into the successes of my clients, there were three keys that I was able to ascertain to successful weight loss. Without these three keys, just doing program after program is not going to work. Nothing happens without the right mindset in anything we do. I am not talking about willpower either. Willpower is simply part of the conscious mind and that is only about 10% of the overall mind. It’s our subconscious mind where our programming resides. Yet, we need both the conscious mind and the subconscious mind to work together. Ideas and know-how resides consciously. From there, we need to access the subconscious in order to put in suggestions that help reprogram it and work better. That includes things like habits. Motivation also resides there. We have to have a willingness to start living a healthier life. It could be that who you associate with may sabotage your success or influence you to live an unhealthy life. You’ve got to find your motivation which comes from your ‘reason why.’ With your why, you can conquer anything. The power of your mind can take you to successful weight loss or lead to continued obesity. And that is the reason why I started off with mindset as the first key. The second key to successful weight loss is…. Strict dieting has backfired time and again. From what I’ve learned from Dr. Lori Shemek, you’ve got to have a diet that is adjustable for each person. What may work for one person, may not work for another. There is a base that one should work off of By understanding how nutrition works, especially the myriad of food choices, the better off you’ll be regarding how you choose to eat. Another part of eating healthy is how your body handles certain kinds of foods. Getting a full evaluation is important as well as a nutritional analysis. Let me suggest that you start writing down via a journal of your daily eating habits and the foods you do eat. Be honest with yourself. This is not for anyone else but you. Some people may have food allergies. You may discover that as you take away certain foods to see how your body reacts. Sometimes there will be trial and error as you learn about your body. I am not going to make any suggestions as to what to eat for you. I will say that to stay away from simple carbs and sugars that have been taken from there natural whole state. 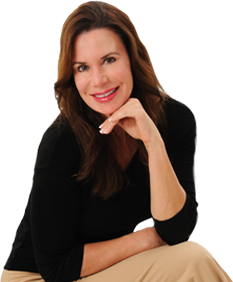 Dr. Lori Shemek can help you learn more in this regard and she has an excellent nutritional analysis as well. Her coaching program is a bargain for what she offers. Also, check out her book, Fire-Up Your Fat Burn!, for some great information. Whether you are in an exercise program at a gym, walking, running, swimming, gardening, doing Yoga or anything else, it is the movement of your body that is key. In today’s world we are moving much less as a whole. Our bodies were designed to move. Yet, we sit too long and movement is almost nonexistent for so many people. I don’t care how you move, whether it is at a fitness center or walking for a mile to the store. Even standing is better than sitting. Fidgeting is better than sitting still. I would suggest to teachers to let your students fidget more in their classrooms. Little things count. However you can move, do it. And if you move already, then make it more intense. Taking the stairs is better than taking the escalator. Walking fast is better than walking slow. Sprinting is better than jogging. And jazz dancing is better than slow dancing (unless you’re trying to get intimate). Just move baby move…. That is the key! Take all three and combine it with good sleep and you will be on your way to successful losing those unwanted pounds. You have to be persistent and consistent. Get help if you need it. Find your reason why you want to lose those fat pounds and you will. I wish you much success in this amazing journey in living a healthier life.